The extent to which we rely on our visual ability is mind-boggling. Studies show that people will remember around 65% of visually depicted information, and only 10% of the facts they’ve heard! But, there’s no need to refer to various scientific papers to prove the power of sight. Simply, try spending an hour blindfolded and experience the waves of confusing, almost panicking sensations. The fact that physical appearance is probably the first thing you’ll notice doesn’t mean you’re shallow. It just proves you are a human being! Does this also define the way we use social media and how we should design the posts? Oh, definitely! Successful marketing pros know exactly how to use the power of design to elevate their social media marketing and bring better results, regardless of the channel. After this guide, you’ll join their tribe. We’ll dive deep into the realm of colors, shapes, styles and all forms of visual presentation on social media. The end goal is a clear understanding of social media design and aesthetics, aimed for the growth of your own channel’s performance. If we’re to apply the fact of “we’re all visual creatures” to social media, it becomes clear that what we see forms our entire experience online and sets the course of every action. So, a social media user who visits your profile will make the decision in a millisecond – to like, share, maybe comment on your post or to indifferently continue scrolling. How your post looks, therefore, determines its performance. To be honest, there is a lot of whatever-quality content on social media, gaining hundreds of impressions because of its amazing visual presentation. Is that fair? Of course not. Fortunately, a clear-cut design strategy fills the gap between the “nothing to see here” and “I would marry this post if I could” type of content. Take a brief look at your social media channel, any one. Casually scroll through the latest posts your friends have posted. Observe the ratio of purely textual posts versus visual ones. Chances are enormous that images, gifs, videos or graphics rule your news feed as grumpiness rules the Mondays! On one side, this means your social media friends are well informed (good for them). They’re aware of the public secret: people engage with visual content on social media. Both marketing amateurs and professionals know this by heart – stunning content attracts likes, shares, it grows the traffic, boosts the engagement and builds an enjoyable sensory experience. What if your products/services are not based on visuals? Is there a kind of design logic you need to follow as a brand, or should you let your creativity grow wild as a forest fire? Lastly, if everyone relies on visual content – how could you stand out? These and similar questions keep marketing enthusiasts and professionals up at night. Let’s resolve them first, then move on to detailed explanations, tips and advice. All these forms of visual content could definitely enrich a social presence of essentially non-visual companies. 2. Visual logic – do you need a design strategy? The most common mistake among social media managers, besides posting content that promotes the business but doesn’t give value to the reader, is not posting strategically in the means of design. 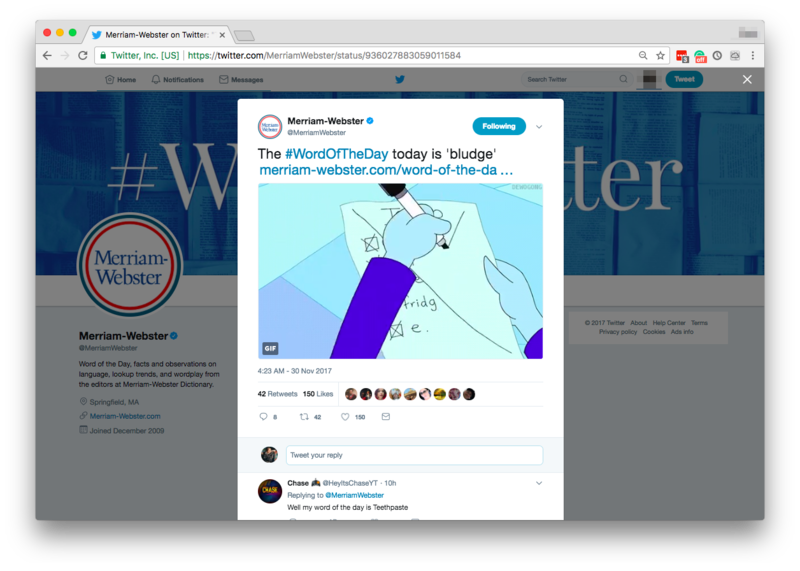 Placing the company logo on your social post is fine, but there’s a lot more to design and learning its tricks brings you to truly magnetic content. Finally, having a clear strategy in place brings your brand’s uniqueness to light. Anyone using social media for business should have a clear design strategy for every channel. 3. Everyone relies on visual content, so how could you stand out? Although most brands on social media recognize the benefits of visual posts, probably only a couple of them are actually incorporating a solid design strategy! Therefore, the initial step on a path of becoming a memorable social media figure is to think strategically in the first place. With a clear plan of how you wish to present your brand, it becomes easier to add personality, unique traits, the creativity which will set you apart from the crowd. The beauty of social media visuals lies in their diversity. Furthermore, the promotional potential increases with every new form of presentation. Think about it: each visual type is a chance to transfer the information to your prospects in a highly efficient way. Starting from the simplest of images, you are free to play around with different formats, in order to discover the best medium of communication. Because after all, social media is fueled by communication and you’ll be communicating your message with the audience through visuals. Carefully picked, high-quality stock photos can surely enhance your posts on social media, no matter the platform. It depends on the content itself, the message you’ll be sharing and the brand’s style, but people tend to relate more easily to original photos. In our honest opinion, the balanced combination of both options, original and stock, works rather well. Original photos, depicting real people behind a business, could be used individually or in collages (albums). This form of behind-the-scenes marketing is a powerful way to connect with your social media audience and involve them in often celebrational or fun events! Stock images are mostly used to describe a lifestyle, an idea, or to give a breath of life to pure information. Use them wisely, become mercilessly picky with only the highest possible quality on mind. Never place a stock photo just for the sake of variety, try placing them into a context, usually to help your visitors visualize the content better. When searching, consider multi-site archives such as this one. Expert interviews, Q& A sessions, webinar bits, etc. Share any imaginable information that is useful/interesting to your audience, while it positions your brand in a positive manner. Meet the silliest, yet insanely effective visual forms! GIF (Graphics Interchange Format) is the globally-adored type of visual content that, when used properly, can brighten up and enrich any textual post on social media. They’re fun, 2-3 seconds-long magnets for engagement, which some of the most successful brands such as MailChimp regularly place in their content strategy. Memes and comics, as GIF’s static but equally potent siblings, are actually images (drawings or photos) spiced up with bit of comical text. Their high virality potential makes them perfect for business purposes. Brands are free to use memes and comics as an excellent tool to share industry-related jokes. Consider adding them into your visual strategy, but be careful not to cross the fine line between humor and banalisation (or often seen disrespect to certain demographic groups). Moving on to data-rich visuals! Both infographics and presentations are able to transfer complex information in the easily digestible way for anyone to understand. Infographics act as a large data-based images, enhanced with symbols, graphs or illustrations. Presentations are a set of slides, and their goal is to present the complex story in a clearly segmented, step-by-step manner. A set of interesting statistics, and similar rich content. Although information stands in the core of infographics and presentation, a proper use of humor and compelling design is able to clarify complex topics for your fans, while avoiding boredom at all costs. Wait a second, aren’t quotes a textual form of content? Just as we learned on the example of infographics and presentations, the best method to empower textual forms is to blend them into a visual medium. When they’re visually dressed up and therefore, pleasing to your follower’s eye, quotes can penetrate deep into the psyche. The main goal of quotes in social media strategy is to evoke a certain feeling about your brand or offer, thus inspiring action and discussion. Remember how memes often go viral? The same stands for quotes, so consider creating them with different visual cues, associations and messages. Rather than applying overused famous quotes, focus on original sayings related to your business (nothing beats the original). Even better, incorporate testimonials or fan’s commentaries into stunning visual template. Creating a design and visual strategy for social media: Where to begin? Great job on learning about various forms of visual content you can use, then further improve with smart design! The creation and posting process of each and every format we mentioned is a fun, almost addictive process (been there-enjoyed that). Beyond the masterfully crafted content, a clear design and aesthetic strategy is what brings a brand under the social media spotlight. The question is – how to start building and implementing a design strategy which suits your brand like a glove? How do they use their logo and brand colors? Did you notice a standard theme they’ve been applying to all their posts? What about the fonts your competition is using on social media? If I was to present my brand/business as a person, which traits would that person have? What kind of personality or style is aligned with this imaginary individual? How could I infuse a healthy dose of relatable, charismatic character into my social media content? Which aesthetic elements are already present in my social posts (logo, slogans, distinct color scheme, and similar)? Conduct the simplest Google (re)search and you’ll see: there are literally hundreds of thousands of articles about social media marketing strategy, but a proportionally tiny amount of those dedicated to social media design strategy. 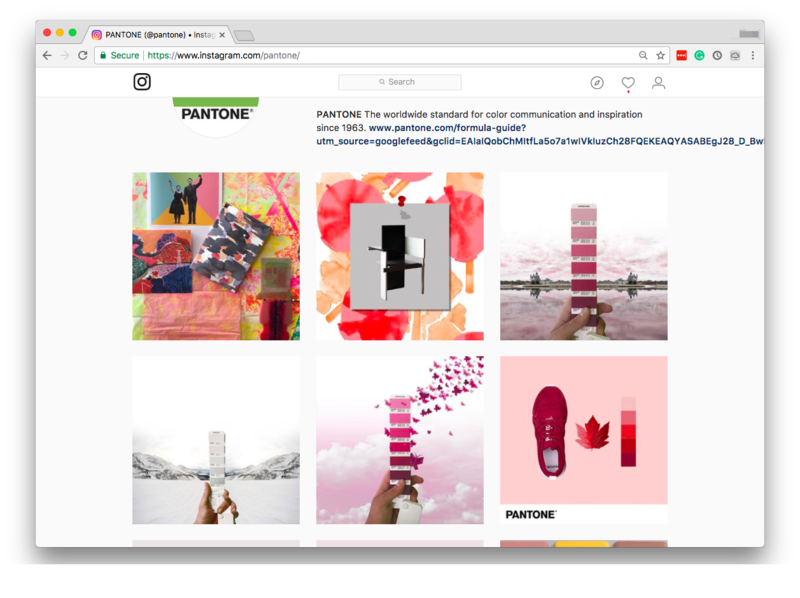 We’ll gladly fill the mentioned gap in resources and begin by asking: how to go beyond “paste just a logo and apply the same color scheme to all posts” and truly craft a compelling design for your social content? The marketing on social media has grown into a visual social media marketing, so rest assured that staying in the dark cannot benefit your brand. The majority of businesses do have some kind of a design strategy. But, are they all effective and creative enough? Hardly. In most cases, one brand’s rules of design for social media are rather strict, rigid and let us take the liberty of stating – dead boring. If a design strategy is locked to a certain color scheme, typography, type of images and even worse, single (or a limited number of) visual templates, is there any space left for creativity? Besides the limiting design strategies such as the aforementioned one, the other kind of design planning is too liberal. This side of the strategy spectrum is based on complete visual freedom, eventually accompanied with main branding. Needless to say, none of these extremes are the path worth following. Is social media design the same as web design? A difference in usage/goal – company’s website is created for the purpose of the presentation, showing what the general information about the business, what it does, for whom, etc. Social media presence is (should be) focused on interaction, communication, the growth of a brand through its audience. The contrast in dynamics – while the copy and overall content on websites is mainly static, the basic trait of social media is flexibility, needed because of quick and drastic changes. The activity and therefore, the visual life of social media channels is reactive. Even the biggest of brands, such as Coca Cola or Apple, occasionally change a portion of their designs, while the essential branding remains intact. Consequently, tackling the challenge of social media design as a separate topic brings unique, brand-strengthening insights. Knowing this, it’s truly surprising why these dilemmas are rarely discussed. Monitor how your competitors are designing their posts on social, then do a little “imagining my business is a brand” game. Now that it’s certain you won’t skip these steps, we can move on to next ones. Think of the user narrative. In order to determine the best design solutions, try understanding the potential user perspective. Meaning, consider the context or a situation in which your social post will encounter the visitor. In general, a majority of your content should be designed to suit the busy, information-overloaded, distracted mind, because this kind of scenario is one of the most common. In all seriousness, there are no rules, so take some time to place yourself in your fan’s shoes (metaphorically) and then, put that vision into the actual designing process. Aim for the golden middle between “strict” and “chaotic”. You’ve previously learned that businesses across social media either follow a rather rigid or completely loose-end design plan. What lies between these two extremes is a visual strategy formed on flexible guidelines. The best way to set such a strategy is by thinking of the famous Montessori educational method. This system of “freedom within limits” could easily be applied to social media design! Certain elements need to be set in stone in order to keep your brand recognizable, but don’t hesitate to break the limits once in awhile. As an example, if your visual presentation needs to be minimalistic, keep it that way, but wildly play with the copy (a content itself). Using the same, distinct template for every post? Not a problem. Put your creativity into “crazy” mode and experiment with images and the text inside the non-changing template. Also, stay loyal to your essential branding attributes, but keep in mind that social media users always seek for entertainment first, so exercise the reactive freedom within the limits. Keep it relevant! Simply explained – no matter how beautiful your social content is, its performance will be low if it isn’t relevant to your audience (as their interest is the point of all this learning). 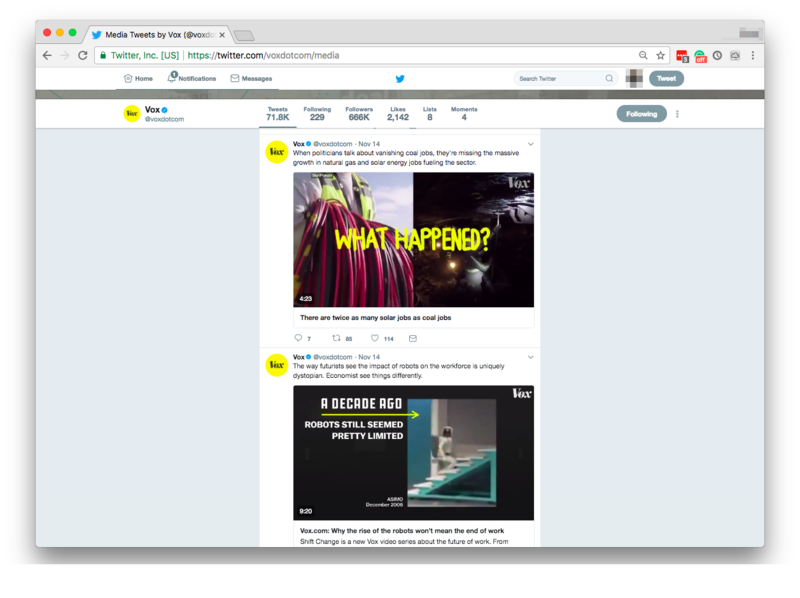 Of course, design should be appealing, but in the parallel Universe called social media, every element is a form of storytelling. Pour your efforts to always merge the context with design. 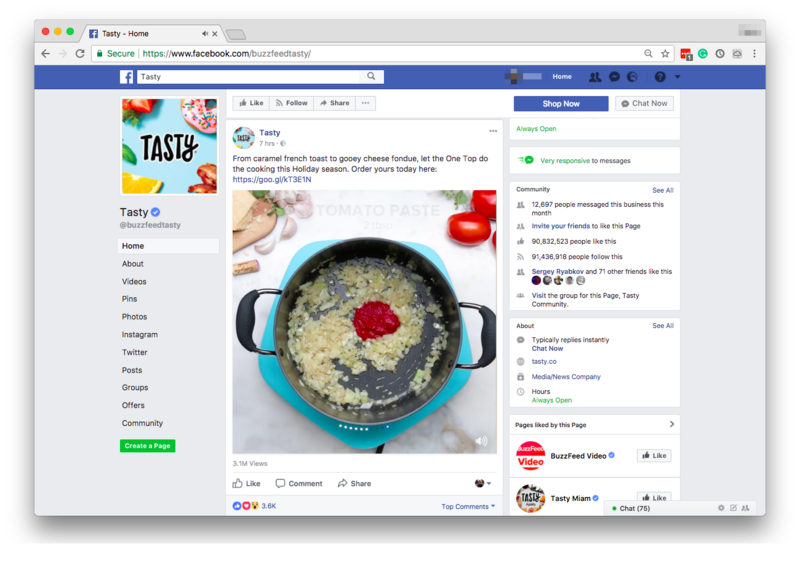 Look, the outstanding social media brands build their design strategy not only on their core traits, but also on the relevant context and content they can directly contribute to. In the realm of social, use design not as a beautifying tool, but as an integral part of your messaging. While these guidelines might be difficult to understand, they’ll create a mindset shift. Such a change of direction, that puts design into the vital role of content creation, inspires a new, deeply influential kind of posts: the ones that add value and context through visual means. Accordingly, content and communication strategy should be aligned with the design strategy. Because only in the cooperation of these two levels, visuals on social media gain the importance they need, so they could attract the desired engagement. Whenever thinking about design, make sure that the contextual groundwork is in place. Visual content plays a crucial role on every social media platform. But, not all social media channels are created the same, some rely on visuals more than others. For an example, it’s literally impossible to build an Instagram and Pinterest profile without images. Therefore, it makes perfect sense to focus on these two platforms particularly, as we further uncover the basics of social media design strategies. In one of our previous social media guides we covered the ins and outs of Instagram marketing. As you’re already aware, the heart and soul of this platform is visual content, particularly images. 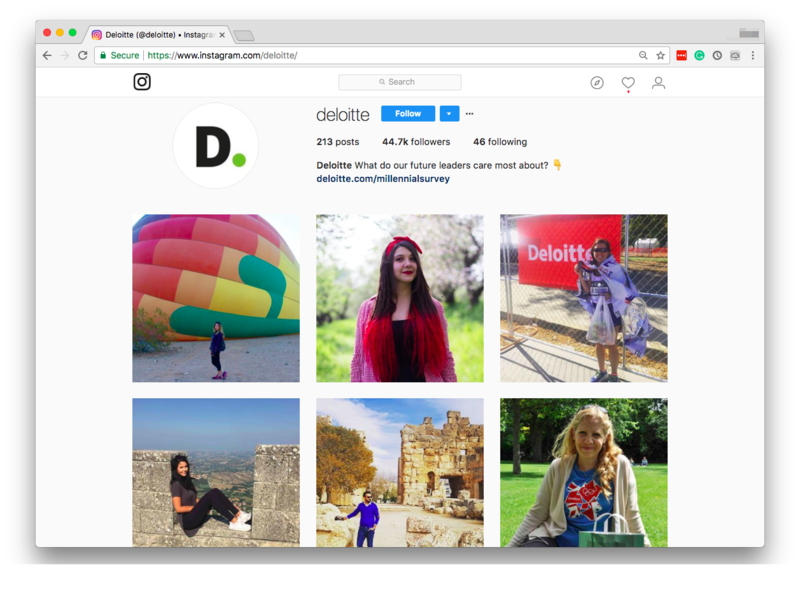 On Instagram, each visual post can be enriched and explained with a caption or (and) search-friendly hashtags. This social media website is an ideal place for the exploration of design and aesthetics, giving the needed straightforwardness and vast space for creativity. The majority of users (especially on Insta) buy various products after being inspired by a stunning social media post. Instagram Stories – this kind of Instagram posting enables you to create an entire story which will last for 24 hours; Stories are a suitable format for time-sensitive offers, promotions such as giveaways, contests, and similar. Sign up to Amplifr and connect your Instagram profiles to track your posts’ performance and alter your content schedule accordingly. Envision how your Instagram profile will look like as a whole. To mimic the potential look of your Insta profile, consider using the tools such as Photoshop or Keynote. Do not focus your attention to details at this stage, rather create a profile’s skeleton. Experiment with the layout, play with the images and colors. This step might take some time, but it surely pays off. Consider sponsored posts or banners, but focus on regular posts. 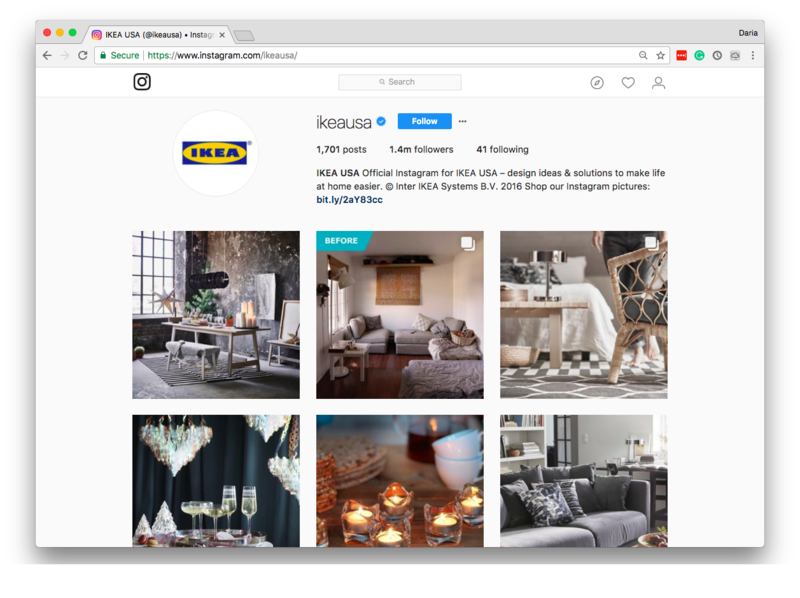 While purely promotional content on Instagram might benefit your business, take the main user wish into account – “all I want is to look at the beautiful pictures and once in awhile, get informed or educated on topics that interest me”. Instagram and Pinterest are the galleries of Internet. Imagine walking into a pocket-size museum filled with stunning images of nature, people, objects, incredible designs. Furthermore, the online versions of museums offer the freedom to their visitors, to add more visual content and decorate the space with their ideas. 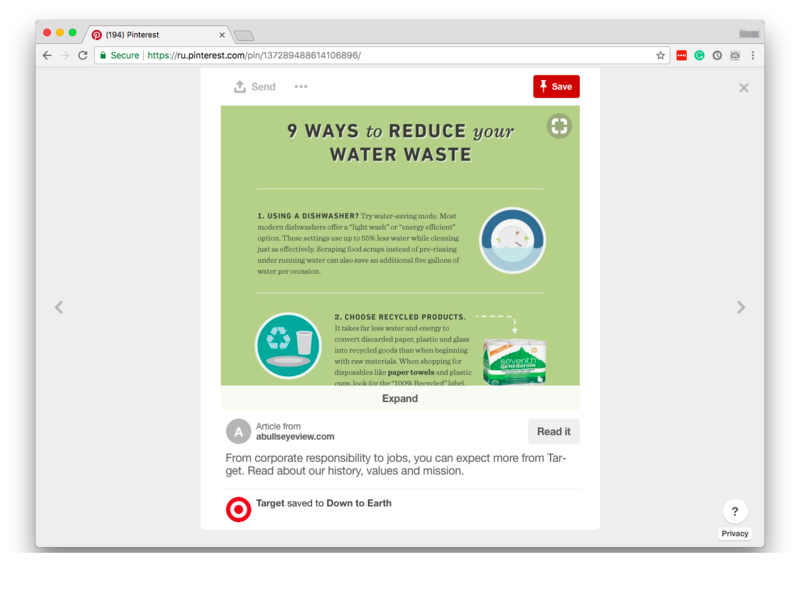 Pinterest, otherwise known as “the social media platform where more time is spent on browsing than posting”, proves to be rewarding for various brands. Businesses of any size and niche gladly use Pinterest to build their online presence, attract potential customers/clients, grow their website’s traffic and finally, sell their services or products. Sign up to Amplifr and connect your Pinterest profile to post images all across social networks. Give the preference to vertical images/Pins. On Pinterest feeds, your posts will be organized in columns, which means that vertical visuals will stand out more than a horizontal one. Consider collage images. Particularly for DIY niches, it is recommended to present multiple as collage images. This method looks amazing for step-by-step projects, such as arts and crafts tutorials or recipes. Think of the user perspective (again and always). We all use Pinterest as a wish list or a source of inspiration! What does mean for your design strategy? Well, take a step back and try seeing your Pinterest profile as a visual portfolio: are your pins appealing enough? Would you pin that content to your own board? How does the pins represent your brand? Remember, the goal is to design your pins in such a way that people can’t resist but start pinning. Should you stick to one style? The same idea of “freedom within borders” applies to every social media design strategy. In order to stay memorable on Pinterest without becoming boring, you could try to be consistent with main branding (logo, brand’s name), a general color scheme, same font (s), an overall style, and simultaneously experiment with photos, complementary text and smaller, yet structurally important content. Skip the mystery. While a certain dose of “so post-modern I don’t even understand myself” might work well on Tumblr or perhaps Facebook, you should probably skip such an approach on Pinterest. Users of this giant gallery love straightforward and highly informative content. 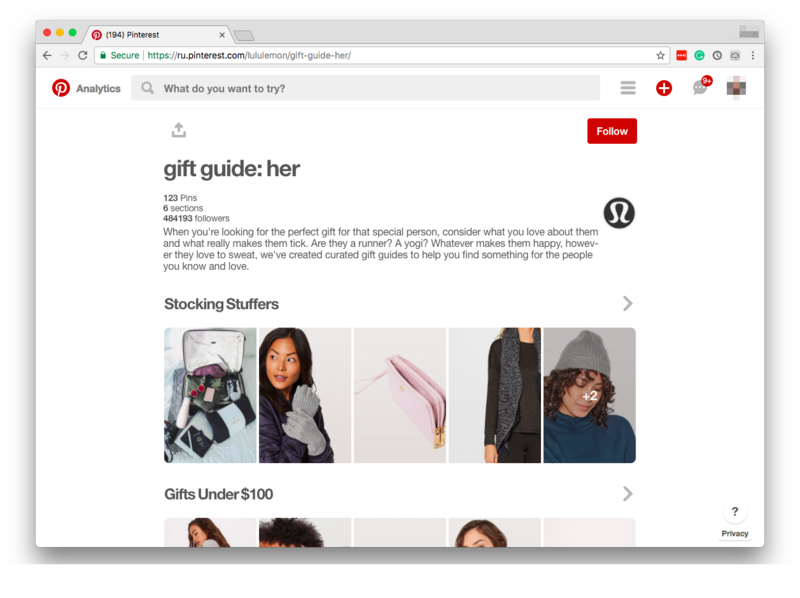 Bear in mind that Pinterest is often viewed as a wishlist, a resource for tips and how-to ideas. The insanely popular Pinterest content represents the fine blend of style and relevancy. Post clear, helpful and eye-catching Pins and enjoy the marketing effects that will follow. We hope that the problematics of creating a foolproof design strategy for mainly visual social platforms is much clearer to you now. Make sure not to miss out on the impressive promotional potential of Instagram and Pinterest. When it doubt which design approach to follow for these pocket-size online galleries, just come back to our checklists and use those tips to construct a perfectly fitting visual strategy for your brand. One-size design strategy to fit every channel: does it exist? Are you diving into the realm of social media marketing, without knowing which design strategy would fit into your vision? Perhaps you’re spending sleepless nights, thinking: “should I form the unique, main visual plan and then, implement it to different social media channels?”. Trust us, you’re not alone. The majority of marketers dream of definite rules for each and every platform, fantasizing about a plug-and-play system that could adjust their visual content wherever needed. So, does the universally successful visual strategy even exist? That would be nice, but no, it doesn’t. The truth is that every business has its own distinct features and properties. Furthermore, every social platform encourages different design practices, which should stay aligned with the mentioned brand’s individuality. In the following lines, we’ll lead you through specific positive design guidelines you can put into practice in Facebook, Twitter or Tumblr. 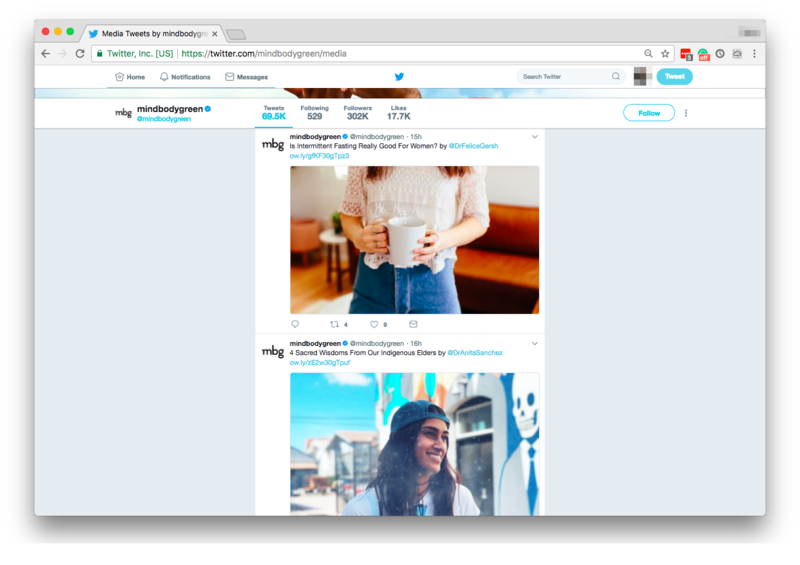 Previously, you’ve learned about the design and visual planning for Instagram and Pinterest, the sites where images dominate the feeds. The content types on Facebook, Twitter and Tumblr are various and therefore, it’s challenging to build a winning design framework. Have you heard? Balanced design is no longer reserved for influential social media profiles and gigantic brands. Each business figure needs to obtain a well-defined visual identity in order to stand out (and become recognizable). Such a goal is particularly difficult to achieve on the biggest social media network on earth – Facebook. Proudly counting more than 2 billion (with a “b”) users, this social giant sets the standard for other websites in every way. Definitely, a clear, well-executed design strategy helps businesses of any sites get noticed and remembered. We all head to Facebook first, when researching on a brand, right? 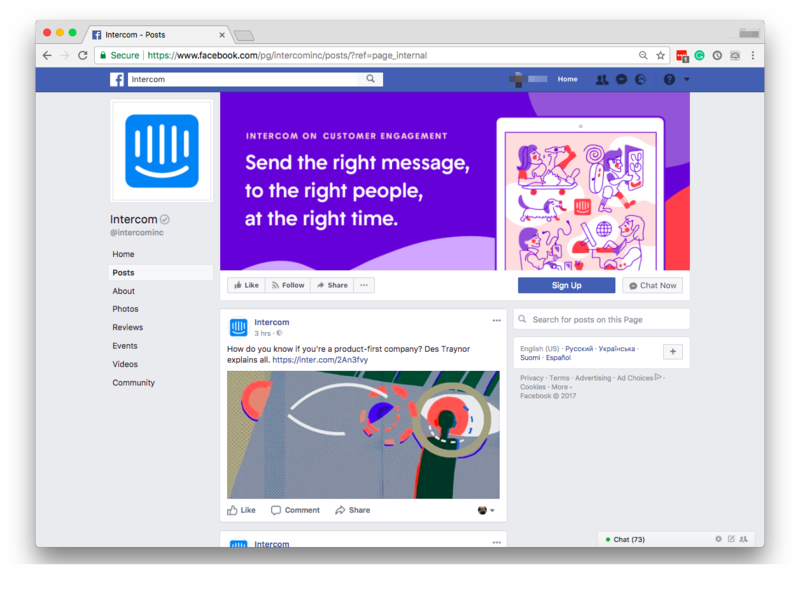 Sign up to Amplifr and connect your Facebook Pages to see if your visual are helping your overall performance. Use strong aesthetics to present your brand, but aim for simplicity. 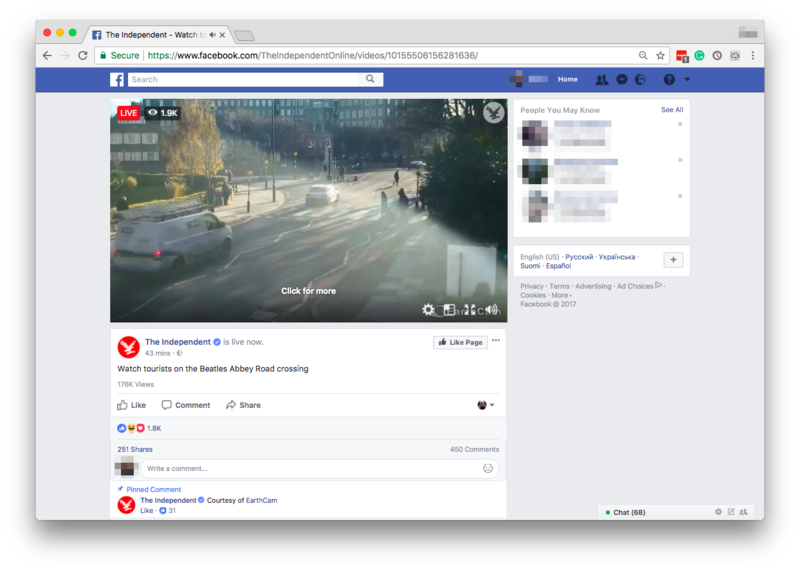 The users of Facebook are daily swamped with content, so don’t be afraid to focus on a clear, easy-to-navigate design. Never, ever post a poor-quality image on Facebook. The users of this social media site show no mercy when it comes to the quality of visuals. In order to represent your brand in the best possible light, stick to best possible quality of content, especially images. Devote the most attention to your business Page’s cover photo. Having the stunning cover photo which both intrigues and informs your visitors is a vital point in Facebook design planning. As a first element users will see when they open your Page, cover image needs to clearly show brand’s value and reputation. Probably the biggest challenge with Facebook design is to stay consistent with simplicity. The plethora of content forms and the stellar number of both users and competing brands, might pull in the wrong direction. Stay focused and elegant in your business’s Facebook visuals. You think that Facebook’s feed moves fast? Think again. Twitter, the highly popular micro-blogging, news and social platform is a definite winner in the category of “this resembles a flood” feeds. Every minute, around 6000 tweets are being posted. Once more, the highly competitive surrounding requires a rock-solid design strategy that attracts views, clicks, retweets, replies and an avalanche of likes. The visual content on Twitter will simply stay unnoticed, if its features are not outstanding. Accordingly, a brand on this platform stays in the shade, if its presentation is not one-of-a-kind. Sign up to Amplifr and connect your Twitter profiles to receive best posting time predictions and try out visual strategies. Be bold. Yes, Twitter’s feed runs faster than Usain Bolt (downhill, on steroids). And yes, scrolling stops when an intriguing image is spotted. Pick nothing less than highest-quality, most beautiful, color-rich visuals for your tweets. Speaking of colors, it is warmly recommended to maintain a consistent combination of colors, accented with a main one that will serve as a reminder of your brand. As a business on Twitter, you’ll need a lot of content, so creating a clear design base could come handy in the creation process. Filter consistency – once you pick a set of filters for your images, stay loyal to them. Same filter combination will give your visuals the feel they need in order to become truly branded and noticeable. It’s a tweeting jungle out there. Always be sure to add your logo and short textual form such as the name of your business with a slogan. This small, but significant step leads potential customers to the offers you’re promoting. Seems like the toughest task a marketing expert needs to tackle on Twitter is staying recognizable and memorable on this social media race track. Do your best to structure a clean design base, empowered with bold, distinct, unique-to-your-business features. How to stand out on Tumblr? A rather peculiar blend of a blog and the social media platform, Tumblr requires a somehow unusual approach to design. As a social website, Tumblr has grown into a popular space for gathering of fandoms (tight-knit communities of people interested in a particular figure, entertainment form, game, etc). Accordingly, crafting a design strategy for this medium should be aligned with the nature of each community. A topic of post design for Tumblr is demanding on several levels. First, the scarcity of resources on the matter makes the overview difficult. Then, a multitude of content types (literally, any content imaginable can find its place on Tumblr blogs) requires both a wide and deep visual perspective. What we do know about the way of thinking you could follow while crafting your Tumblr design plan is this: the main visual factor every brand should consider is the messaging behind every single piece of content and therefore, the design as well. And most importantly, a power of the community. Keep these key components of interaction (and attraction) on Tumblr in mind while considering the design solutions for your tumblog. Also, as a business, try blending your theme design with a visual strategy of posts. Sign up to Amplifr and connect your Tumblr pages to analyze the engagement and see what your audience really needs. Either way, aim your attention at the people, share, engage, communicate, don’t be afraid to show a personality behind a brand, rather than a faceless, promotion-only business blog. Consequently, your design and visual strategy might change and adapt to the trends, reactions and the evolution of your relationship with potential customers. How to craft the design plan for a non-visual business? 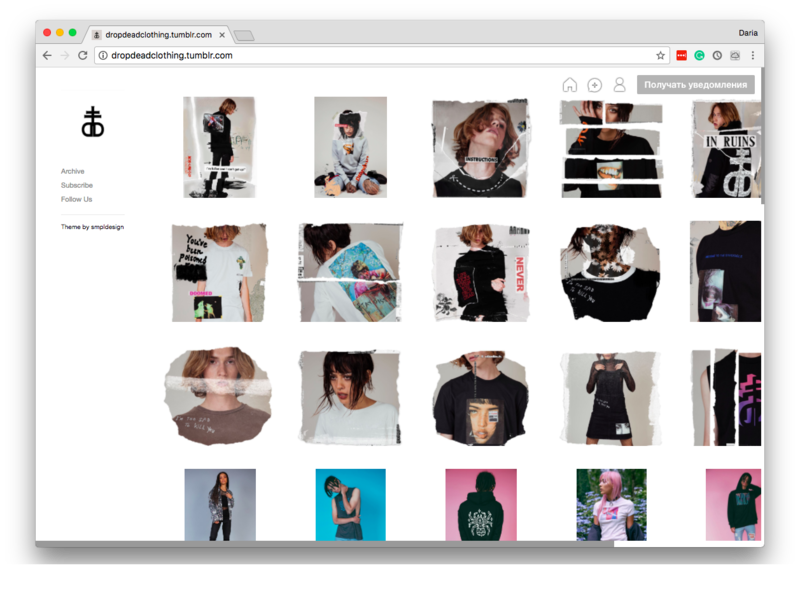 We completely agree that this is not fair: it is much easier for a fashion company or a restaurant to create a stunning design and aesthetics strategy, when they already have a library of beautiful photos directly connected with their business! What were the non-visual brands supposed to do? The fact is that every business, whether small or gigantic, visual or non-visual, starting or established, could vastly benefit from the marketing opportunities lying in social media. 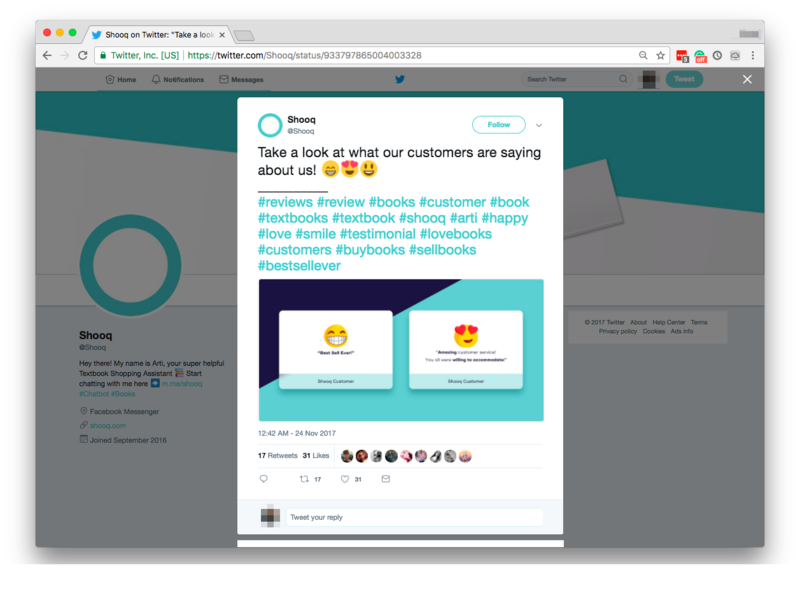 So, is there a way (preferably, a simple one) for companies that offer services or unattractively looking products, to enjoy the power of social media promotion? Embrace the power of education through visuals. Think of instructional content, how-to tutorials related to your business, DIY manuals, presentations or maybe, infographics covering the topic you as a brand care about. It doesn’t really matter that you don’t have stunning photos to show, if you have a problem-solving knowledge worth sharing! Use GIFs, illustrations, animations and/or emojis. Could you tell a story through these types of content? Let your imagination fly and play with different formats available. Showcase the lifestyle your business is enabling. As a service or perhaps, an online product, think of the benefits your customers are gaining with your offer. Are you helping people become happier? Financially stable? Inspire social media visitors to seek for your service through carefully chosen, inspiring images. Try behind-the-scenes company and product photos. Do you have an interesting scene from your workplace worth presenting? Or is there an entertaining way in which some of your products can be handled? By displaying how the business functions from inside, you will encourage the feeling of connection and closeness with the audience. People love being involved in brand’s often hidden stories, so take the opportunity to explore this fact. As complex it could be, the topic of strategizing the design for social media marketing is also pretty exciting and rewarding! Regardless of its challenges, the knowledge of which design methods could boost the social media profile’s performance is more than valuable. Every outstanding marketing professional will tell you that compelling content, merged with eye-catching visuals, brings the business strategy on a whole new level. As you’ve most certainly noticed, the fine-tuned design and aesthetic strategy should be an example of balance between clarity and creativity. Each color, image, every content element can inspire the viewer and encourage engagement. At the end, an engaging audience is what brands of all kinds dream about, because that is the foundation of a prosperous business. And what could more attractive than a magnificent style? Studies show that human beings remember around 65% of visually depicted information, and only 10% of the facts they’ve heard! Successful marketing strategy relies on the proper use of design. Well-planned design elevates the entire social media marketing on a new level and brings profitable results, regardless of the channel. Make sure to use the best out of all content types – images/photos, videos, GIFs, illustrations, presentations, infographics, memes, etc. When crafting a social media design strategy, think about the balance between strictness and freedom of expression. Also, content and communication strategy should work hand-in-hand with the design strategy. If your brand is non-visual, embrace the power of education through visuals, use GIFs, illustrations, animations and/or emojis, showcase the lifestyle improvement your business makes possible, and try behind-the-scenes company and product photos. But most importantly, do not give up, because social media is a powerful marketing tool worth exploring. Getting to know Instagram for Business and how to handle it.